Protection of the quality products and particularly Protected Designation of Origin (PDO)/Protected Geographical Indication (PGI) foods is a strategic issue in the EU economy, in terms of protection of market competition and safety. Having reliable tools for the assessment of key parameters useful for the identification of authenticity and/or frauds is therefore of main interest. 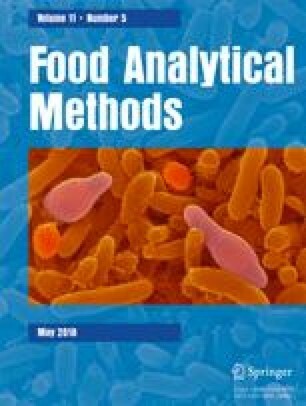 In this work, the isotope ratios of stable elements variability of four PDO cheeses (Taleggio PDO, Asiago PDO, Pecorino Toscano PDO, and Provolone Valpadana PDO) were investigated with the aim to find discrimination among different kinds of cheeses. The specificity of isotope ratios of stable elements can be profitably used when sample characteristics, conditions, or degradation strongly suggest looking directly at the atoms rather than to the molecules. We analyzed five isotopic parameters: δ13C and δ15N on casein fraction and on cheese as a whole; δ13C on the fat fraction of the cheese. The dataset was composed by 118 cheese samples coming from five different Italian regions and collected over a 3-year period. Data elaboration showed that beyond interesting differences already observed on each individual cheese on the basis of some parameters taken into account (year, season, province, altitude), the characteristic isotopic ratios of each cheese are stable within a narrow range of δ‰. Univariate analysis showed that single parameters were not enough to provide a clear discrimination between each cheese, while principal component analysis (PCA) and partial least squares regression-discriminant analysis (PLS-DA) showed a good separation between cheese classes, particularly for the Pecorino Toscano cheese type. This data suggested a positive indication to the possibility of introducing in the production disciplinary of the concerned cheeses also a range of isotopic ratios of C and N as a further tool for the protection of this four types of PDO cheeses. Angelo Faberi declares that he has no conflict of interest. Dario Compagnone declares that he has no conflict of interest. Fabio Fuselli declares that he has no conflict of interest. Alessandro La Mantia declares that he has no conflict of interest. Marcello Mascini declares that he has no conflict of interest. Camilla Montesano declares that she has no conflict of interest. Rachele Rocchi declares that she has no conflict of interest. Author Manuel Sergi declares that he has no conflict of interest.